When you decide to order a special design on a suit made to your measures, you will feel the difference in terms of look and comfort. - Ultimate comfort for you, optimum exposure for your partners and sponsors. - Over 80% of Stand 21’s customers choose our customization options. (as quickly as 10 business days in the off-season). To avoid any errors that may lead to manufacturing delays, please take the option of being precisely measured by a Stand 21 associate, at the track or in one of Stand 21’s stores. In the impossibility of getting directly measured, you will find detailed instructions to have another person take your measurements here. - Black, red, Navy blue, royal blue, vintage blue, light grey, dark grey for K221, K021, MC2 and K09 suits. - Elbow or knee pads can be added inside your racing suit. - Provide us with a precise design, including size and spots. - ST3000 and ST221 models: natural white (not available for the ST215). - Blue, red, black, yellow, green, Lotus green free upon request for FIA 8856-2000 racing suits before assembly. - Natural white, black, red, Navy blue, royal blue, vintage blue, light grey and dark grey for K221, K021, MC2 and K09 suits. - Yellow, orange, red, vintage blue, royal blue, sunset blue, Navy blue, Lotus green, light grey and black, feasibility of matching tones. Be careful if your racing suit has several colors, contact us. - Seams done in natural white aramid thread. - Yellow, orange, red, vintage blue, royal blue, sunset blue, Navy blue, Lotus green, light grey and black, feasibility of matching tones . 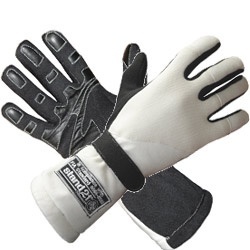 - Allow the assembly of the various parts of the racing suit. Contact us. Available with the ST221 racing suit colors.